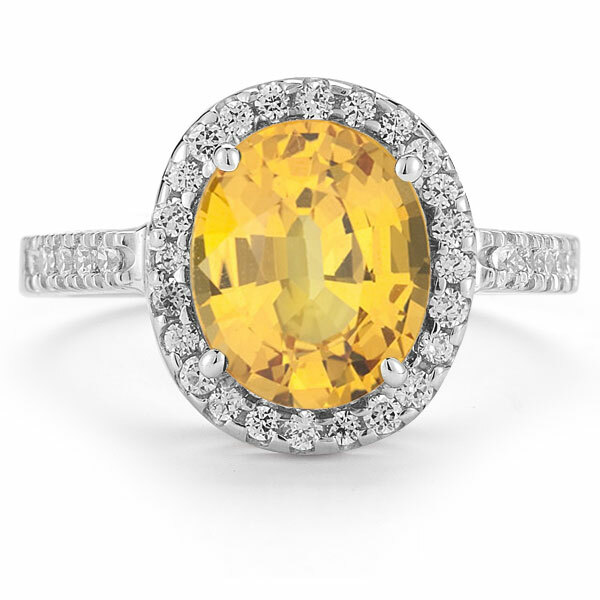 A sunny stone surrounded by colorless dazzle gives this Citrine and Diamond Cocktail Ring in 14K White Gold a look that's sure to warm up your style. With its simple yet striking design, this ring will never fail to make a statement that's full of light. The striking oval-shaped gem that glitters from the center of this glamorous ring is semiprecious stone with a daring yellow glimmer. This 10mm x 8mm citrine has a hue that calls to mind a golden ray of evening sunshine, and this daring hue is infused with sparkle that allows it to capture the essence of a sunny day. Surrounding this dazzling gem are 24 small round diamonds that form a frame of sparkle and reflect the warm hue of the center gem, while 10 additional diamonds stud the 14K white gold band. This statement ring is a piece that refuses to be ignored, and it will be noticed for all the right reasons. While this style is undeniably bold, it's also surprisingly versatile. By utilizing both an undeniably warm stone and a cool, gleaming metal, this bold ring is able to coordinate with a wide range of looks, making it a piece you'll turn to over and over again when you want an accent that overflows with warmth. 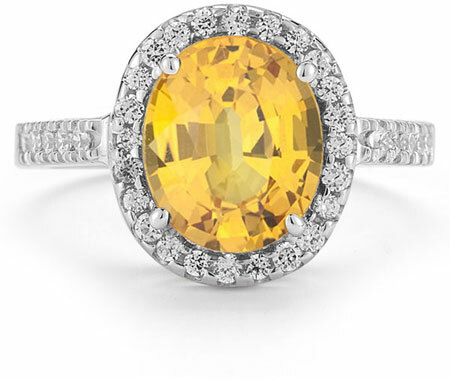 We guarantee our Citrine and Diamond Cocktail Ring in 14K White Gold to be high quality, authentic jewelry, as described above.